Happy Halloween to you guys too. And a happy BOO day to you. Hope you get some special treats. 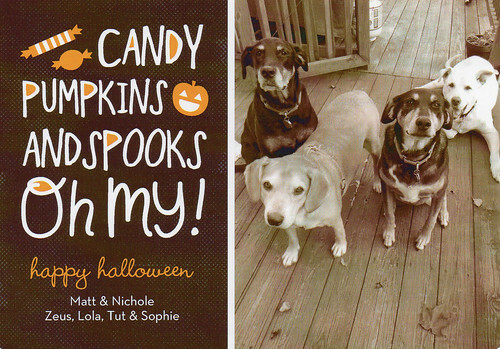 Happy Howl-o-ween to you guys, too! Hope you get lots of treats! Very cute card! Happy Howloween! Love your card (though I'm enjoying it a day late). Hope you had a fun Halloween!